It is an educational truth universally acknowledged that reading is of paramount importance to a child's success throughout their school years and beyond. For that reason, we have worked hard over recent years to get children reading and to help them to enjoy it. Here are some of the things we have done to raise the profile of reading and encourage children to do it and enjoy it. As in most schools, all our pupils have a book which they are reading independently. In Y4, that is normally a short chapter book, perhaps with a few pictures. We are always talking about which books children are reading, recommending them other books similar to those they've enjoyed and eyeing opportunities to buy new books for them to read. Many boys last year enjoyed reading a Hank Zipzer book which someone picked up from the library van. A few this year loved it too so we bought them the whole set. Once children started reading them, the love for Hank Zipzer spread like wildfire and I'm not sure there are many boys in my class who haven't read at least one of them. I find that once particularly vocal members of the class get hooked in a series, it is very easy to persuade their wide circle of friends to read those books as well. Boys have particularly enjoyed the Time Hunters, Jack Stalwart, Football Academy, Foul Play and Percy Jackson series this year. Many conversations about these books have encouraged more children to read and enjoy them. Each half-term, we read a book which has a movie. I read this to children at different points during the day. It is protected time and the aim is to finish the book in six weeks. We finished every single one this year. The only way to do that is to value highly the time spent on it and prioritise it. At the end of the half term, we sit down together as a year group and watch the movie. This leads to interesting discussions about the comparisons between the books and the movies, particularly the choices made in the movie of Matilda. Reading Areas and Bookshelves - Beg, borrow, steal! Every primary school (hopefully) has a dedicated reading area and most classrooms will have one bookshelf or reading corner each. These are vital when it comes to encouraging children to love reading. However, it is the texts on the bookshelves rather than the aesthetics of the area which make a real difference to children's enjoyment of reading. This year, our reading coordinator organised two book fairs to generate the maximum possible profit for teachers to use to fill their bookshelves. These have allowed us to buy appropriate texts for our year group shelves using this list which was compiled from teachers' suggestions. 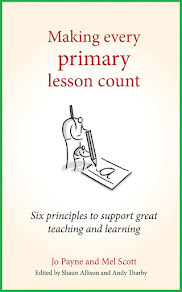 As a year four teacher, I am always going to other classrooms to find books that some of my pupils would love to read. The look on a child's face is priceless when you tell them you "stole" the book from a year five or six bookshelf just because they might like it. That alone is often motivation enough for them to start reading the book. Each year, we read our favourite (children's) book to our classes. That gives us the chance to share our passions for a book with them and discuss reasons why we think it's the best. I read my class Scribbleboy by Philip Ridley; here's why I love it. This is an idea I had during a frustrating moderation meeting. We started handing out Book Bingo activities and giving children a star for completing 4-in-a-row. At the end of the year, we held a big raffle with all the stars put into a bucket and children chosen to win prizes. I thought this would be something relatively boring for children but they were completely inspired by it and, as you can see from the stars on our display boards, many rose to the challenge. One child even created a Book Bingo photo montage of him completing one of the grids. Blue Book Bingo photo montage. Image used with parent's permission. Nothing inspires reading and writing more than a visit from an author, especially one whose books you are reading together. We combined budgets through year groups and the English curriculum and invited the wonderful Caroline Lawrence to come to visit us and share her expertise. When her books were really cheap in sets, we gave each child one and she graciously signed every one. This year, we have started something new to ensure our bookshelves are always full. We discovered that some families had many books belonging to the school at home but were too embarrassed to return them as there were sometimes up to ten books. To solve this, some of our school council set up a table on the playground for a week before and after school. This became our Book Amnesty table, where parents and pupils could return books that belong to the school or certain teachers with no questions asked. During our first amnesty, hundreds of books were returned to the school but many families donated old books to the school as well. 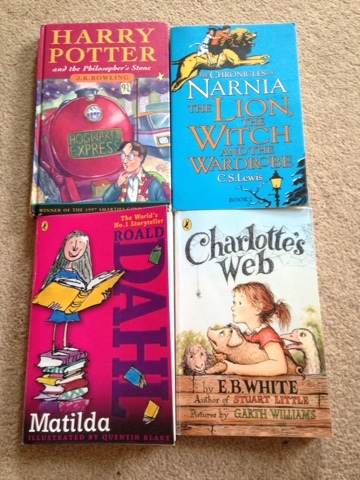 The school council then decided which year group each book should be returned to. This has become a regular occurrence which helps us make sure we have a big selection of stories for our children to choose from. If a child was struggling to know what to read, I would do one (or some) of the following. - compose an email to staff members (with the child) to request a specific book and then buy it from our budget if no one had it. You may be interested to read this post about how teachers at The Wellington Academy have raised the profile of reading in their secondary setting. 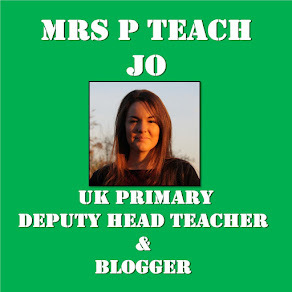 Also, Rhoda (a friend and former colleague) has written this post about what she'll be doing this year to enhance engagement with reading. Finally, this post was written with KS1 children in mind and has some more ideas for encouraging kids to read. What great strategies to get kids reading! Bravo! 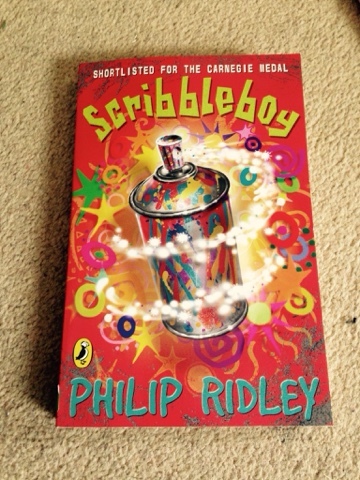 Can you suggest any popular books for Year 4 girls? There are lots of great suggestions for boys but I am struggling to find ones for girls. Some really good ideas here, thanks. Book bingo has been a massive hit with my class. I have a Reading for Pleasure blog in which I try and share what we're doing to with regards to promoting reading. Don't get to update it as often as I'd like though!